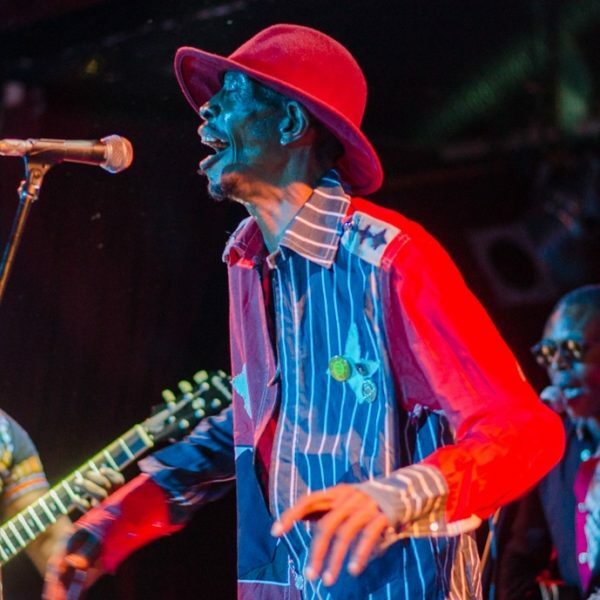 Jupiter & Okwess play New York for free twice this summer, including Thursday at Metrotech Commons in Brooklyn. 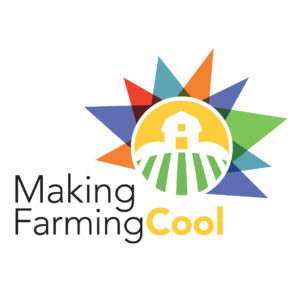 Check out our Events page for more information. According to the United Nations Refugee Agency (UNHCR), in the first two months of 2018 alone, over 120,000 refugees from the Democratic Republic of Congo (DRC) have fled to neighboring countries, adding to the over half million who were already in exile. The DRC is considered to be one of the poorest countries in the world, plagued with ongoing armed conflict that has claimed over six million lives, and currently has over four and a half million people displaced within its border as well. With all those reasons to leave, musician/singer Jupiter Bokondji remains. Perhaps one of the reasons Bokondji doesn't leave is because he spent much of his childhood living away from the Congo. Born in 1963, his father was a diplomat, and so he grew up mostly in East Berlin and Tanzania. Like many who choose or are forced to leave their homeland, he has developed a certain connection that's different from those who have never left. Jupiter Bokondji. Photo by Victor Diaz Lamich, used with permission. 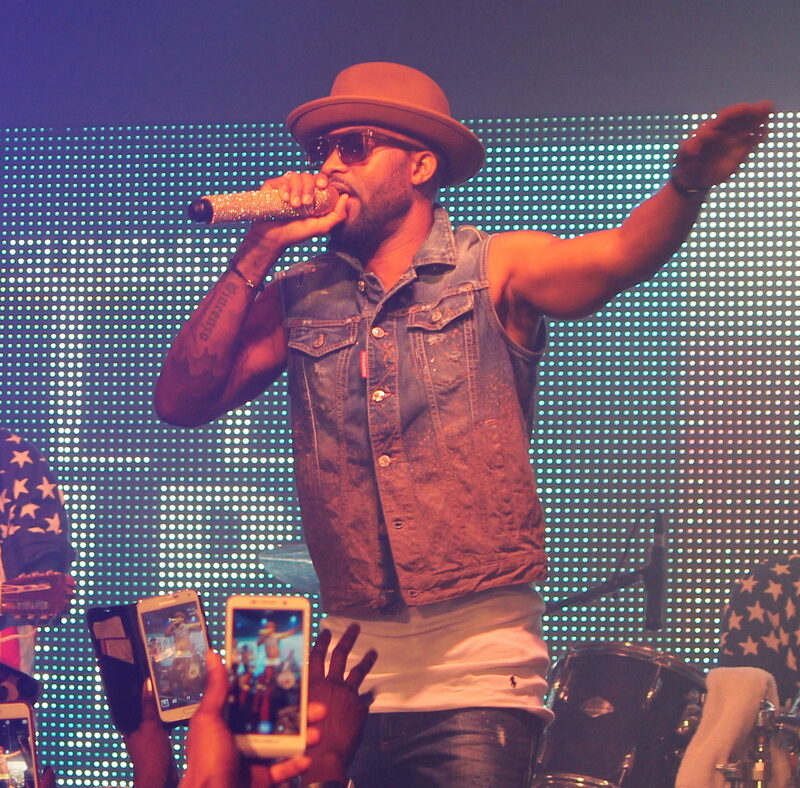 Although Bokondji had the opportunity to stay in Europe, at the age of 20 he decided to return to Kinshasa and make it his home. He had already formed his first band while in Germany, Der Neger, playing Western pop music in the 1970s. But now he wanted to learn about his country, and especially its many musical traditions. His father, disgraced that his son wanted to be a musician, threw him out of the house. 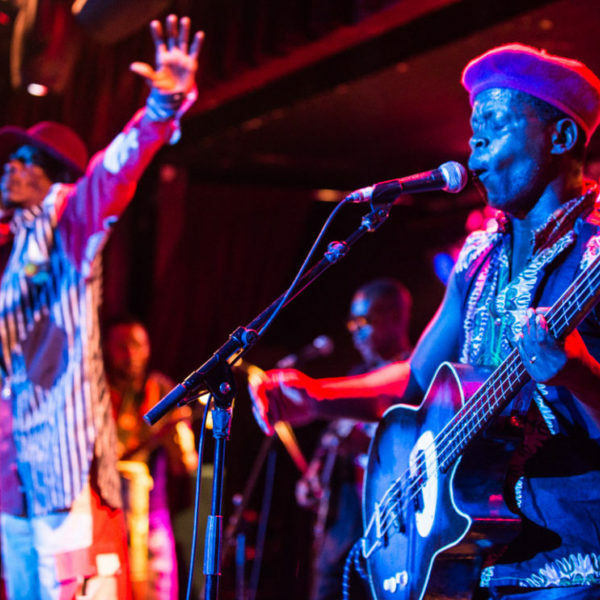 He lived in the streets, earning money singing at funerals and playing percussion with different groups—with the intent to experience the cultures of the 450 different ethnicities that make up the DRC. 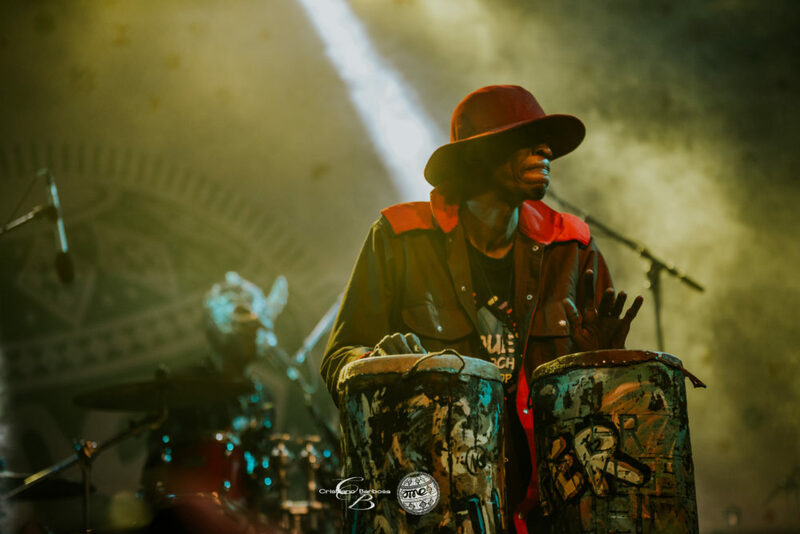 He played in ceremonies where his grandmother did healing work during the Ebola crisis. And he even did, for a time, get involved directly in politics, working as a private secretary for one of President Mobutu's ministers at a time when Mobutu appeared to be promoting democracy, though that was short-lived. He has said in the past that “You don't see Kinshasa, you hear it.” Asked to elaborate on that, his answer gives insight into why he remains there. Eventually, Bokondji found a sound that suited him. Something that blended the Western rock, soul and funk he heard growing up overseas and the traditional music he was now versed in. He dubbed it “bofenia rock,” with bofenia being one of the rhythms of Bokondji's ethnic group. In 1990, he formed Okwess International (okwess meaning “food” in Kibunda). While his musical project, as he calls it, has been on-going for decades now, the one thing he knew from the beginning was that he didn't want to play soukous or any form of Congolese rumba, which was, and still is, the best-known popular music from the DRC. He has fought against these expectations and perceptions throughout his career. “You see,” Bokondji says, “after Belgium split from Africa, those Europeans liked the rumba. But the rumba was the music of colonization to me. Once, in 1999, when I was at a festival in the Ivory Coast, I was playing my kind of music. This music producer from Belgium said he wanted to produce me, but I would have to play the rumba. He said my music was fine for Africa, but I should leave it there. If I wanted to play for the rest of the world, they wouldn't be interested in it. “'You have to make the rumba,' he said, 'because the kind of music you are playing is O.K. for people from West Africa, from the French colonies, to play. Like Youssou N'Dour or Fatoumata Diabate. But you can't do that,' he said. 'They are allowed to play different kinds of music, but if you are from a Belgian colony, you have to play rumba if you want success in the world.' I told him it's not true. 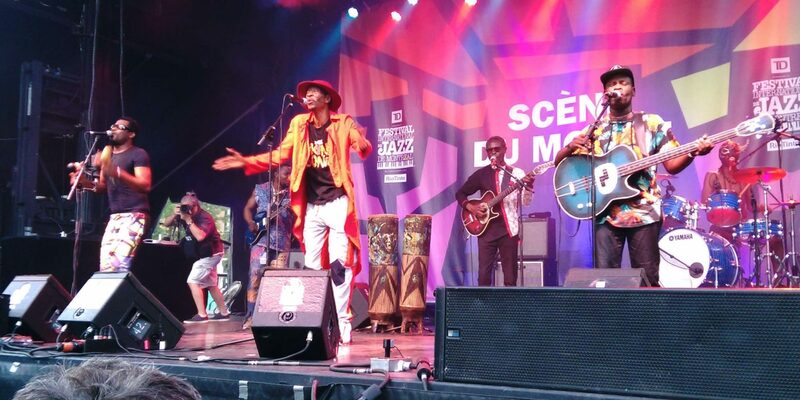 Then, in 2006, Bokondji and his band gained international recognition through a documentary film Jupiter's Dance, made by French filmmakers Renaud Barret and Florent de la Tullaye. In the film, Bokondji becomes our guide to his Kinshasa, its street musicians, but also focuses on his dream to get his music recognized. 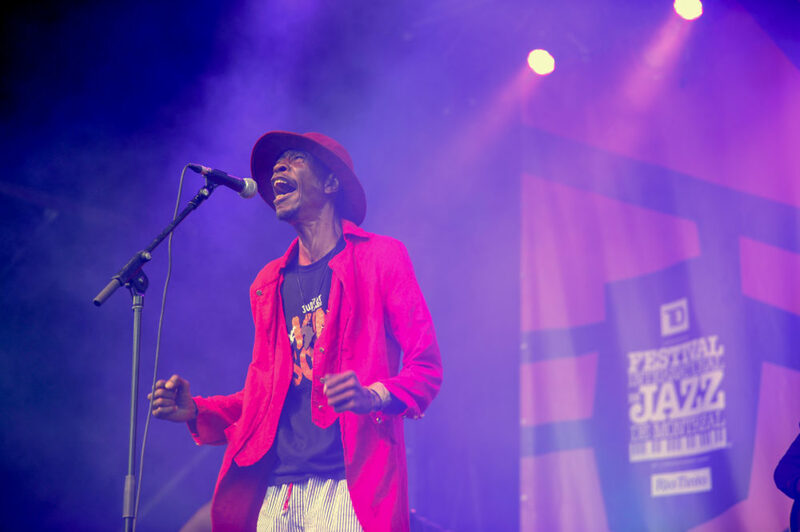 It was also through the film and Bokondji's efforts to promote them, that brought the group Staff Benda Bilili to the attention of the world. But modesty aside, the film did a lot for Bokondji. Perhaps most notably, it brought him to the attention of Damon Albarn of Blur and Gorillaz, also known for his work with Africa Express, for which Albarn partners with manager Stephen Budd and connects Western musicians and producers with African musicians. The two first collaborated in 2007 when Albarn came to Kinshasa with Africa Express. Then in 2011, they recorded together on the album DRC Music: Kinshasa One Two, produced as a fund-raiser for the nonprofit group OXFAM. 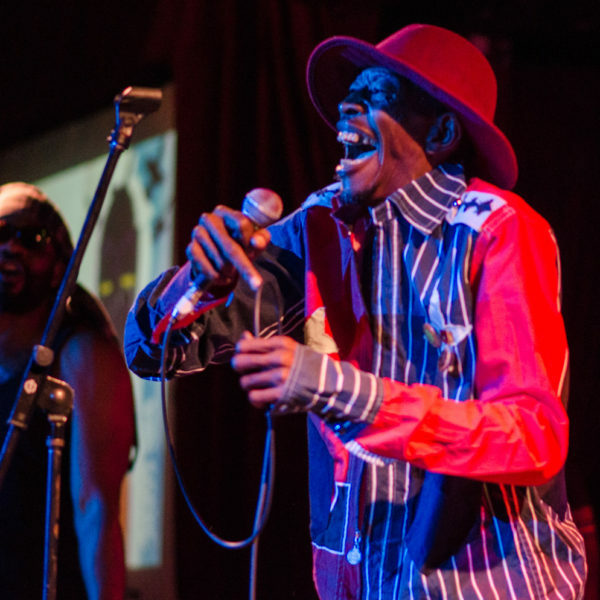 Jupiter and Okwess's first album, Hotel Univers, released in 2013, was well reviewed and received internationally. It included the aforementioned song, “This World Is My Land,” which Bokondji states refers to this “problem all over the world, of world conflict. A problem of the earth. Nobody owns the earth. We don't need borders. It's not your place. The earth is for all people. When you die, the country doesn't go with you. You are just buried in the earth,” he says. Also in 2013, Robert Del Naja, of the British trip-hop group Massive Attack, who had met Bokondji during the 2007 Africa Express trip, took some of Bokondji's beats and made a bass-heavy remix, entitled “3D on Jupiter,” as part of his Battle Box project. Last year, the band released its second album, Kin Sonic, and not only does it have Damon Albarn sitting in on keyboards, but also Warren Ellis, of Nick Cave's band the Bad Seeds, playing both violin and keyboards. Bokondji zeroed in on a few songs on the new album he wanted to discuss. Then there's “Nzele Momi,” which, Bokondji explains is a celebration of women. “It's about that we have to protect women,” he says. “If we see the work women have to do, it's enormous. So they have this natural power. It's not the man. The women have the power, because she's doing all these things, raising the babies. The video was directed by Florent de la Tullye, one of the filmmaker's of Jupiter's Dance, who also directed the 2016 documentary, The Dance of the Walés, about this tribe. Massive Attack's Robert Del Naja contributed the cover art for the album. The fee he would have received for the artwork he has donated to a charity Bokondji supports in Lemba which helps homeless street children. Bokondji says Del Naja will soon have prints of the album art and other merchandise for sale on the band's website, ,the proceeds of which will also go to the charity. For a man who has seen all that he has in his life so far, Bokondji still has hope for a better future, not just for the DRC, but the whole world. We first asked him about the future of music back home. 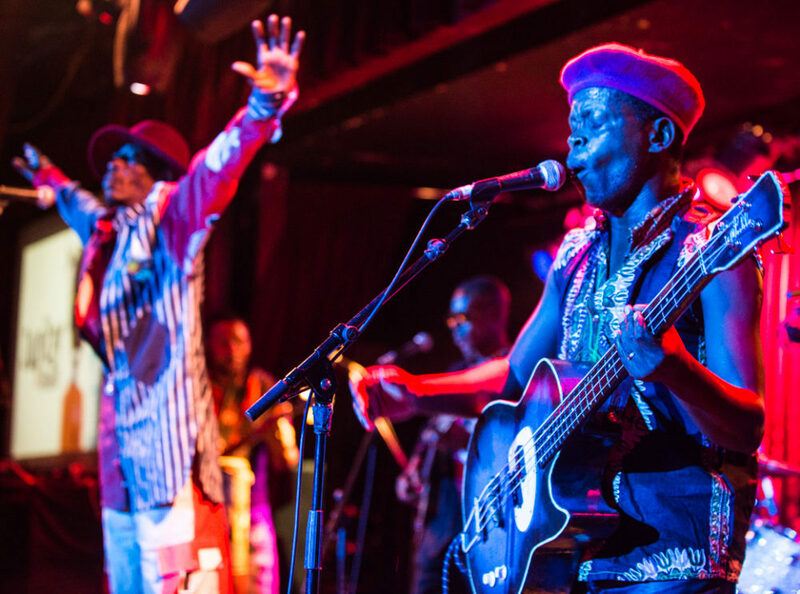 On Thurs., July 19, join Afropop at Metrotech Commons in downtown Brooklyn, where Jupiter and Okwess will perform. Grab your lunch from local vendors and meet up with fellow Afropoppers around 11:30 a.m. up front on the grass on the right side of the stage. 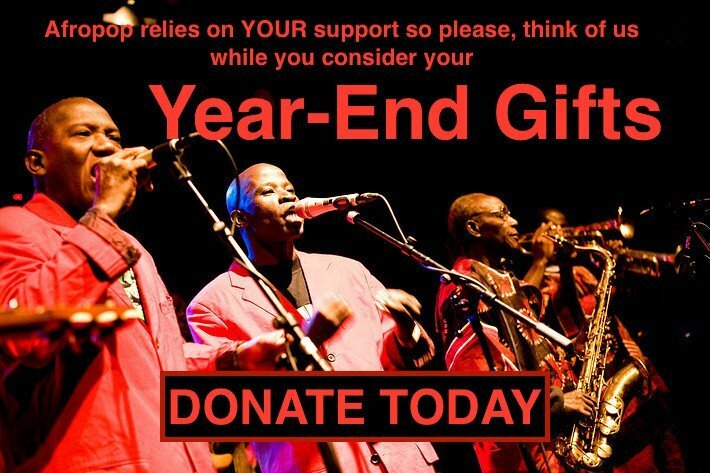 Look for folks wearing Afropop Worldwide T-shirts. Show is at noon. More info here. The band begins a worldwide tour which will run through the fall. Cities in the United States include, New York, Philadelphia, Chicago, Minneapolis, San Francisco and Los Angeles. See their website for a complete list of tour dates.